A Country For All Tastes!! The historic palette of Turkey is traced to Stone Age settlements constructed in 7500 BC, and here, today, unforgettable names like Troy and the Trojan War, Homer, Cyrus the Great, Alexander the Great, the Holy Roman Empire and the Medieval Crusades leap from the pages of its ancient history, and many relics and ruins of same still stand for all to view. Overrun, conquered, and eventually lost by a litany of forces over eons of time, the modern country of Turkey was founded in 1923 from the Anatolian remnants of the defeated Ottoman Empire by its national hero Mustafa KEMAL, later honored with the title Ataturk, or "Father of the Turks." Under his authoritarian (and rather effective) leadership, the country adopted wide-ranging social, legal, and political reforms. In 1950, an experiment with multi-party politics led to election victory of the opposition Democratic Party and the peaceful transfer of power. Through it all the unflappable spirit of the Turkish people has prevailed, and in recent years the government has undertaken many reforms to strengthen its democracy and economy, so it can eventually join the European Union. Landforms The European side of Turkey is mostly a series of rolling hills, while across the Bosphorus Strait into central Turkey, the land rise into an elevated central plateau (Anatolian), surrounded by (and mixed with) high, rugged mountains, including the Taurus, Koroglu and Pontic ranges. Many peaks in Turkey exceed 10,000 feet, and the tallest, most rugged ones, including Mt. Ararat, are found in the Eastern Taurus Mountains. Along the Black Sea and Mediterranean coastlines the land is lower and quite fertile. The Tigras, Kizilirmak, Sakarya and Euphrates are the most significant rivers, and Lake Van is the largest lake. 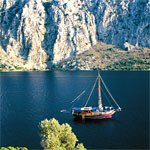 Attractions From the historic cities of Troy and Ephesus, on through the many layers of its ancient archaeological past, Turkey is without-doubt, one of the world's most interesting and well-traveled destinations. Add to that history lesson some of the finest white sand beaches anywhere, fishing and scuba diving venues, beautiful national parks, skiing resorts, outstanding food, hilltop castles, golden mosques, exotic shopping bazaars, stunning mountain scenery that almost defies description, and now, a much-improved transportation system. 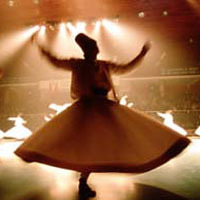 Major attractions for visitors include the caves and landscape at Cappadocia; the biblical and Islamic past of the eastern provinces; the sophistication and historic sites of Ankara, the capital city; the sunshine and therapeutic waters of the Mediterranean coastline and its Roman history and ruins; the major beach resorts of the southwestern and western coastlines, and then there's Istanbul, a mysterious and modern city that's divided by the Bosphorus, and stands on both the Asian and European continents. Terrorist bombings -- some with significant numbers of casualties -- over the past four years have struck religious, political, tourist and business targets in a variety of locations in Turkey. The possibility of terrorist attacks, both transnational and indigenous, remains high, and all travelers are encouraged to exercise caution and good judgment, keep a low profile, and remain vigilant with regard to their personal security. Turkey has so much to offer her visitors: breathtaking natural beauties, unique historical and archeological sites, steadily improving hotel and touristic infrastructure, a tradition of hospitality and competitive prices. It is not surprising therefore that this country has recently become one of the world's most popular tourism destinations. 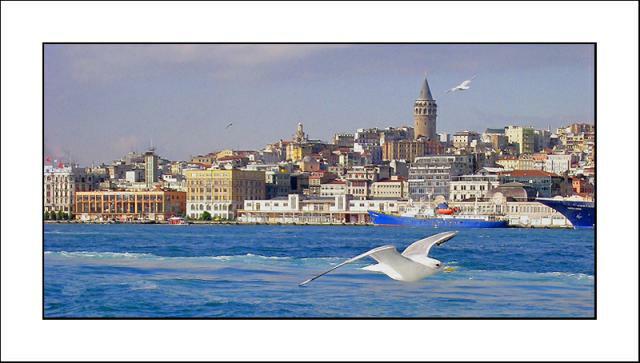 Due to Turkey's diverse geography, one can experience four different climates in any one day. The rectangular shaped country is washed on three sides by three different seas. Its shores are laced with beaches, bays, coves, ports, islands and peninsulas. The summers are long, lasting as long as eight months in some areas. Turkey is also blessed with majestic mountains and valleys, lakes, rivers, waterfalls and grottoes perfect for winter and summer tourism and sports of all kinds. Skiing fans, mountain climbers, trekkers, hikers and hunters can enjoy new and unforgettable experiences in Turkey. But Turkey is, above anything else, a huge open-air museum, a repository of all the civilizations nurtured by the soils of Anatolia. The huge amount of historical and archaeological wealth in Turkey seems more appropriate for an entire continent than a single country. Recently, a new field of tourism has opened up — health tourism. The country is in fact rich with hot springs, healing waters and muds which come highly recommended by the medical authorities as a remedy for many diseases. For centuries, Turkey has also been a crossroads of religions, not only of Islam and Christianity, but of many others now forgotten by history. Many religious devotees can find a site, a shrine, a monument, a tomb or a ruin connected with their faith or belief.